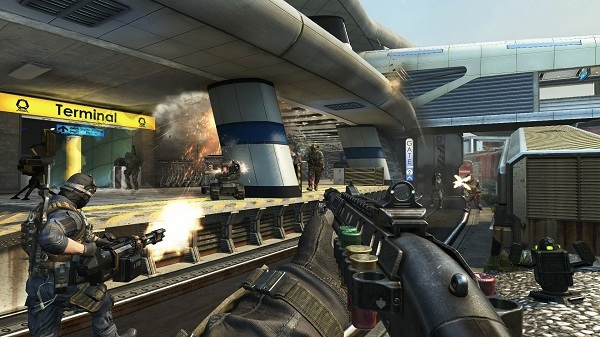 The Call of Duty franchise is something that has become synonymous with the holiday season as over the last few years a game in the series has been released annually. 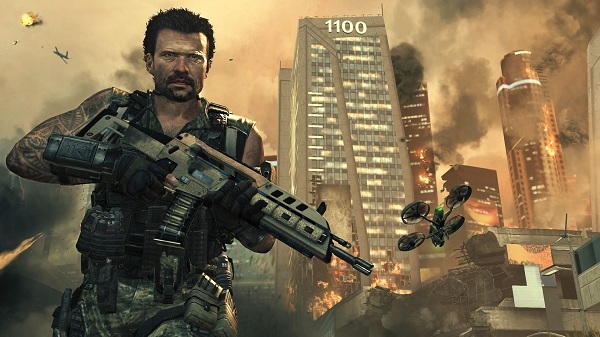 However fans will argue that the series has continued to grow and be better with every iteration, regardless of whether it was developed by Infinity Ward or Treyarch. 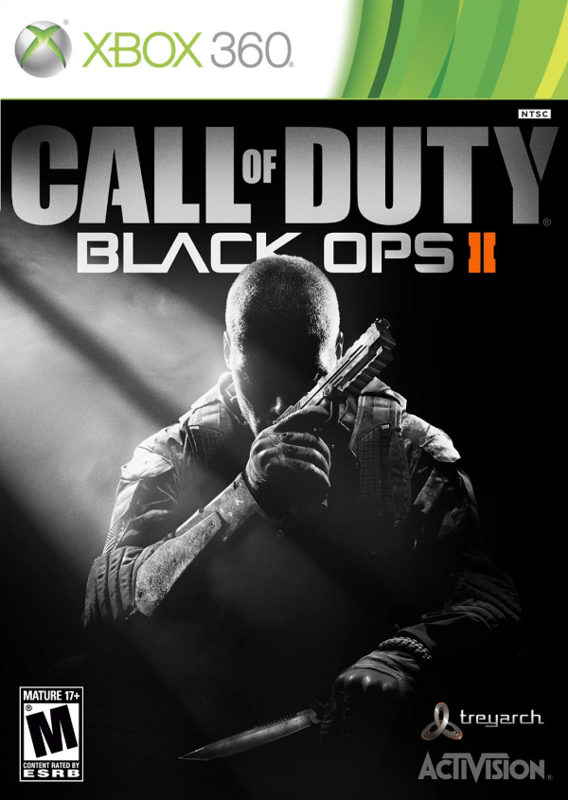 This year we have Treyarch behind the reigns of Call of Duty: Black Ops II and with it come a slew of enhancements and new features. Is it just as great as fans have come to expect or have their hopes been dashed? In the year 2025 the world is teetering on the brink of a war so devastating it could cost billions of lives. Interestingly enough, the story of Black Ops II unfolds between two different eras, with players interacting with the likes of Alex Mason and Frank Woods back in the 1980’s or as Mason’s son David in the year 2025. Rather than simply jumping around the time-line in an awkward manner, the missions that occur in the ‘80s are actually told in a flashback style as Mason’s son talks with a now elderly Frank Woods. Regardless of what era you are playing, the big bad guy this time around is the same man… Raul Menendez. You see, Menendez is hell bent on committing terrorist acts in 2025 and seems to have it out for Mason’s son, but why? That is what players will be able to find out as they experience the missions as Alex and Frank in the ‘80s. One of the biggest gripes that gamers have with the first person shooter genre is that their storylines are not only simplistic, but offer little in the way of originality or actual player choice. However Black Ops II is the game that will silence those critics for at least a few minutes. Of course the game’s storyline is still outlandish at times and absolutely crazy at others with events occurring that are simply unbelievable at times. However it all works thanks to two things in Black Ops II single player, one of which many people never would have thought would appear in a Call of Duty game. First there is Menendez himself. This man may be the bad guy that is about to sink the world into war and the man you must kill, but he is also very well written. His seemingly unending need for revenge drives him forward; players will find it hard to dislike this man despite his horrible plans. Whether this is thanks to great writing, an amazing storytelling pace or both, he is a very memorable villain. Now the second major inclusion is player choice. These choices can be simple things or they could drastically alter the events that will follow your decision. What makes the choices intriguing is the fact that while there are some very obvious decisions in the game which are made simply by pressing one button or the other, there are others that will unfold during actual gameplay. A few of these actions may only reveal an extra tid-bit of the story while others can even allow certain characters to either live through a harrowing situation or die. To make things even more interesting there are a few different endings in Black Ops II and thanks to the various actions you will have to take during gameplay at times, it is difficult to simply walk a straight line right to the ending you want. In fact, despite Black Ops II being a shooter, the game’s storyline is something that no one should pass up even if they feel like jumping into Zombies or Multiplayer first. Treyarch has masterfully crafted an interesting storyline packed with action, drama and intrigue that will have players thinking before simply blasting their way through a level. Black Ops II is, at times, a very stunning visual experience with massive set pieces that can leave you temporarily speechless. That being said, the game’s visuals have become rather mundane and unfortunately it feels like the game’s textures and overall appearance are something from a few years ago. Despite the sub-standard visuals, Treyarch has mixed things up a bit with the areas that players will be fighting in and the title manages to pull of some rather large scale battles without any slowdown. Iit is worth noting that one thing that has made a jump in quality is the way the game handles the faces of the characters you come across within the game as they have seen significant improvement over past games in the series. As far as the game’s sound effects and background music goes, Black Ops II goes above and beyond the… ahem… call of duty in most regards. The game’s explosions and gun shots are glorious and realistic sounding and the title also features some impressive background music at times, including a nice little surprise for some players. Interestingly enough, in the game’s single player story mode players will be able to select and customize a load out that they want to enter into a level with, allowing for a higher level of customization than ever before. It is also worth noting that there are a number of bonus toys that can be found within some levels such as a cloaking suit and more. As for the single player combat, the action still follows a linear path but Treyarch has alleviated this feeling by making sure that these areas don’t simply feel like you are moving from corridor to corridor shooting enemies. 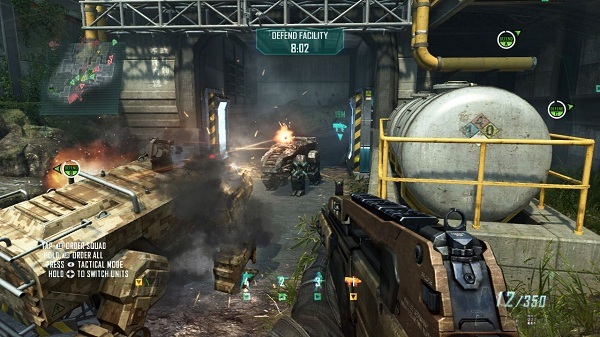 Most levels feature large open areas where players can face off against anything from standard soldiers to flying Quad Drones and even stealth cloaked soldiers. Alongside the basic story mode, there are optional Strikeforce missions that the player can take part of. These Strikeforce missions actually can have a direct impact on the game’s main storyline which means if you choose to ignore all of them or happen to fail them, you can face dire storyline consequences thanks to your failure. Also if you are thinking that you can simply re-load a Strikeforce mission to try it again if you fail, think again because the game will continue on as normal and your results will be saved into the story. As for how Strikeforce plays, it is very different from the campaign mode. 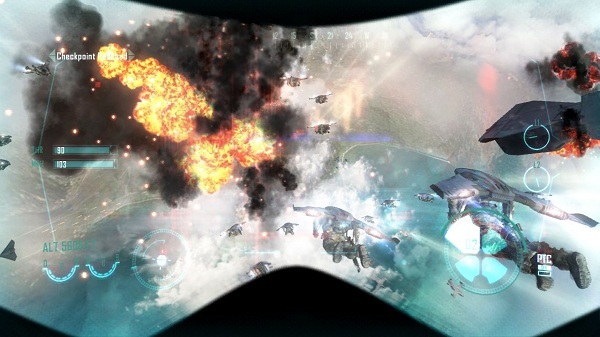 Players are given control over the battlefield which is made up of a number of units which can be controlled from above with orders or directly. If your squads are wiped out, you can fail a mission however success comes from completing a number of various objectives such as defending a point, rescuing someone or destroying things. It is worth noting that the Strike Force ally AI is sometimes faulty and will not listen to your commands and stand still multiple times, which can be a major issue with some missions which require quick action. These Strikeforce missions can quickly become very hectic as enemies will literally begin coming out of the woodwork to defeat you and with the player having the ability to call in CLAWs, Drones and other weapons and directly control them, the battlefields are very intense and this makes a hard fought victory a rewarding experience. Now onto the part that many people care about and many of you may only play once you get your hands on Black Ops II, the game’s competitive multiplayer mode. Perhaps the biggest change that Treyarch has made for this game is the new pick-10 system which has taken the rigid create-a-class system of past games and added more options than ever before. You see, there are now ten “equipment” slots available for use in any class and you have free reign over what you want to use. Want to have six perks running at the same time? Go right ahead, but you will be left with only one barebone gun and a knife, hell you can even run around with only a knife if you really feel like it. Now while this has done wonders for players that want to create a class exactly how they play, there are a number of limitations which may irritate players. As before, weapons are unlocked by leveling up through XP but they also require the use of “unlock tokens” which are provided every few level ups, which means you may unlock a vital piece of equipment and be unable to use it until your next level up. Also the “Pro” versions of perks have been removed which means all perks immediately at their best when unlocked. Also Ghost has been modified so that it only hides the player from UAVs when they are in motion, so campers have been given less of an advantage this time around much the joy of everyone. 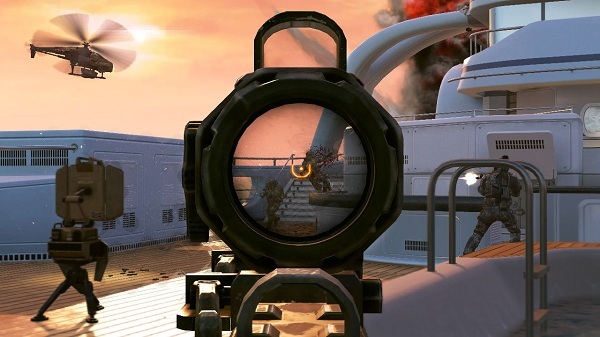 Still, it is worth noting though that a Treyarch has failed to balance some segments of the game’s multoplayer, including the game’s sniping system which sees terrible abuse online with quick-scoping snipers making use of the pick-10 system or shotguns that can fire halfway across the map like a rifle. It is also worth noting that killstreaks have been replaced with something slightly different called Scorestreaks. These scorestreaks work very similar to how killstreaks used to work and if you are playing a standard deathmatch game then you will barely notice a difference. Scorestreaks mean that you’re various bonuses will not unlock after a certain amount of kills, but a certain number of points, such as 400 points for a UAV etc. These points can be earned by doing many things, most obviously from killing people or assisting others with their kills but can also be obtained from destroying enemy equipment, capturing flags or other points in objective-based modes. This means that players are not punished for playing a more supportive roll and can sometimes even benefit greatly from this system if they choose to hang back and support their allies. 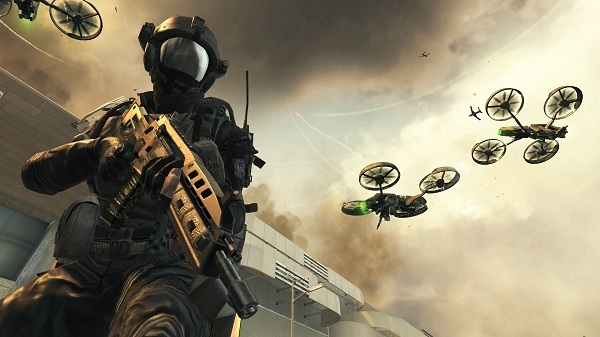 However there are a few balancing issues with these Scorestreaks, especially when it comes to objective based matches as some low-level streaks are capable of wiping out a large area with no warning and while the company has tried to balance this by making it so kills with Scorestreak bonuses do not provide the full 100 points of a standard kill, it still can create a one-sided match very quickly. It is worth noting that the full Emblem customization has returned in Black Ops II but unfortunately Treyarch has made it more limited than before. The requirements to unlock the newly named “Calling Card” backgrounds have been raised and most of them require the player to prestige before even revealing their requirements and also a number of Emblems customization symbols have been locked behind levels and challenges, which means if you have an emblem you desperately want to create but don’t have the pieces, you have some fancy killing to do. As for the maps you are playing on there are fourteen maps in total and there seems to be a nice balance between small, large and medium sized maps for players to battle it out in. While there are plenty of areas for players to still try and camp, there are also just as many ways in and out of a place which means that you’ll always be on your toes because you may never know where the next bullet will be coming from. As far as the illustrious zombie mode goes, Treyarch has decided to try something a little different this time around. Players can now enter into a “Grief” match where two teams of four are created and try to outlive one another by stealing items or interrupting crucial moments which may cause them to be killed by the zombies and the standard wave based survival has returned but there is now a more campaign-like option to play in the form of Tranzit. 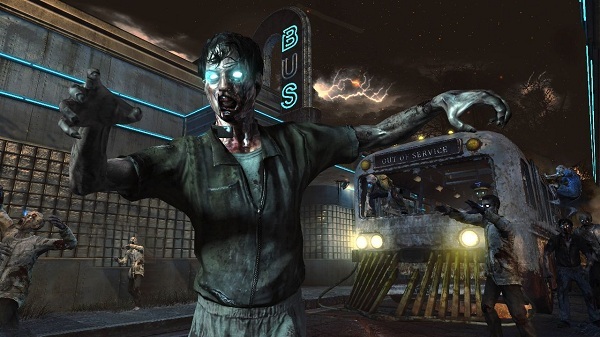 In Tranzit, players build various power sources and access an automated tour bus which will take them to various locations while they try to survive against the zombie threat. The bus moves at a pre-set pace which means players have a limited time in each area to try and find items, but this also means that it is very easy to either be left without any ammunition or proper upgrades as the tour bus ventures on. That being said, this is a nice breath of fresh air to this mode full of the walking dead and players will appreciate the fact they will no longer be cramped within one area the whole time. 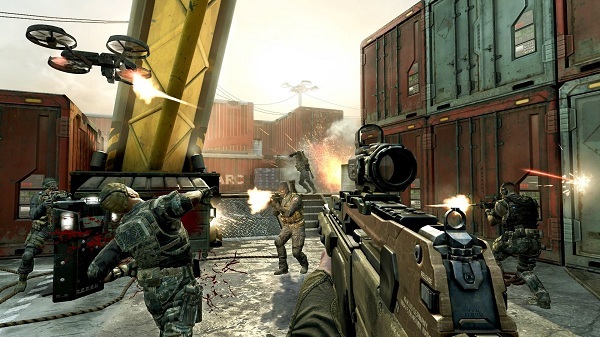 While some fans of the series may pick up Call of Duty: Black Ops II for one of the three main game modes provided, they would be doing themselves a great disservice. Black Ops II’s single-player campaign is surprisingly well-written and hard hitting and the game’s zombie mode has been given a nice boost in the arm. As far as the game’s multiplayer is concerned, pick-10 has added a few new improvements but also a slew of other problems which may leave an online player frustrated. Treyarch has managed to pull off a relatively stellar game where it’s strongest mode may just be something that no one would have expected, the story mode.